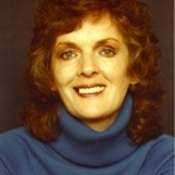 Diane Hoh is an American author of young adult thrillers, most of which were published between the years 1990 and 1999. She is probably best known for her series Nightmare Hall, which ran for 29 books between 1993 and 1995, published under Scholastic’s Point Horror imprint. She also wrote several stand alone novels; her first thriller for the Point Horror line was Funhouse, which became a national bestseller in 1990. She was born in Warren, Pennsylvania and now lives in Austin, Texas.